Staff recommends that the weekend service be reduced from every 30 minutes to every 45 minutes and that the span of service be reduced to operate between 8am and 8pm. These actions would save 2,100 annual revenue bus hours. These savings could be reinvested into an expanded weekday peak period service. Presently Line 501 operates every 15 minutes during weekday peaks and every 30 minutes during weekday mid-day and weekends. Using the weekend service hours during the weekday peak periods would allow service to be operated every 12 minutes during heart of each peak period. This would make the service more attractive and easier to use during the highest ridership demand periods. The changes will take effect in December. In the meantime, the No-Pasadena Express continues with the same schedule. 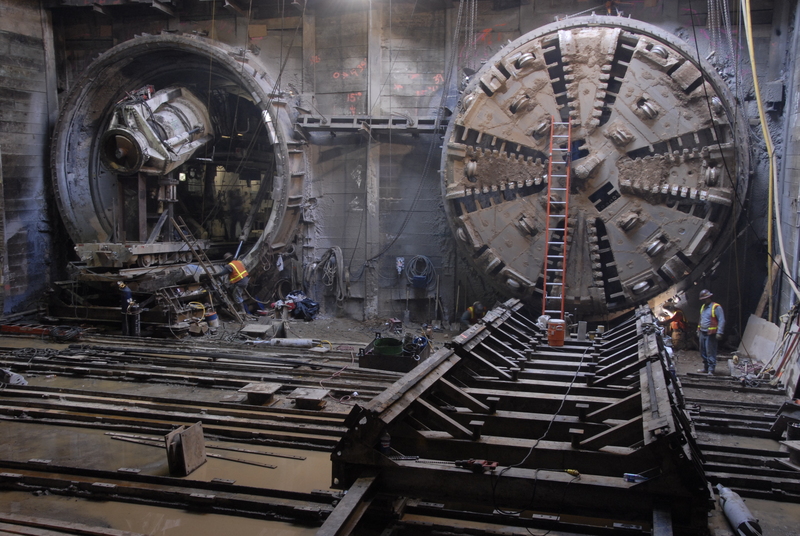 Throwback Thursday: a pair of pics below of tunneling work on the Gold Line Eastside Extension — I think these are from 2007 or thereabouts. 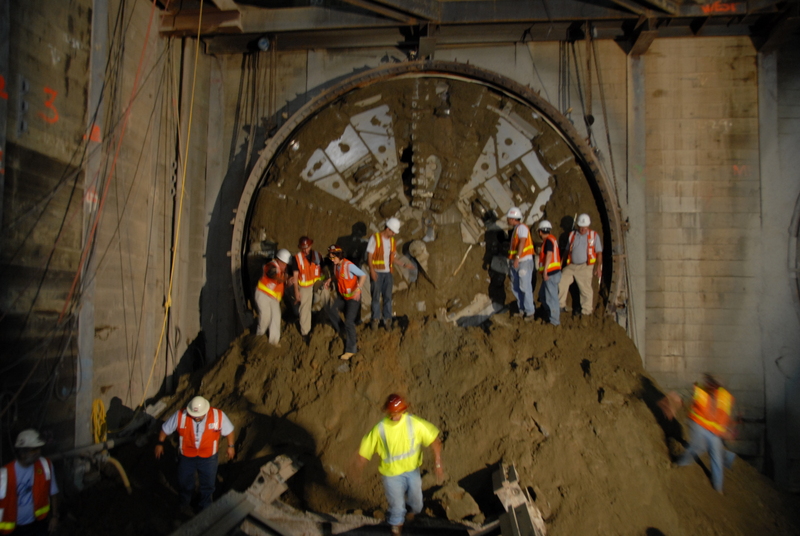 Attentive Source readers know that tunneling is underway on the Crenshaw/LAX Line, is soonish to get underway on the Regional Connector and excavation work has begun on the future Wilshire/La Brea Station for the Purple Line Extension’s first section. Things to read whilst transiting: What’s next for the National Park Service?, asks the New Yorker with a nod toward the NPS’ impending 100th anniversary. As Californians we should care, given that the NPS has 27 units covering millions of acres in California. That includes 3.3-million acre Death Valley NPS, the largest national park outside Alaska, btw. The New Yorker article makes the very good point that the NPS will likely have to protect land beyond its borders to protect habitat as global warming increases. To put it another way: grizzlies and frogs and many other species need diverse habitats for their populations to remain viable. 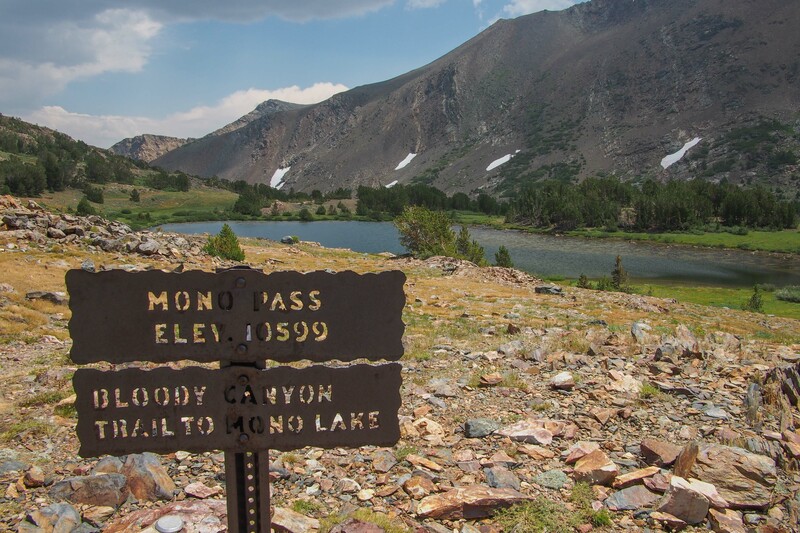 Not all that land exists within a national park. A crazed woman trying to sell crickets and worms on a D train suddenly threw them all over the crowded car, sending it into chaos during the evening commute. For all the love heaped upon ride hailing by some people, this little detail seems to get lost: it’s not really profitable as long as human drivers are involved. Of course, there’s a counter argument that self-driving advocates have been making: the tens of thousands of Americans killed and injured in car crashes each year. And, of course, there’s a counter argument to that: maybe if driving laws were more effectively enforced, there wouldn’t be so many accidents. Don’t hold your breath waiting to see the bike path appear overnight, however, this team was selected to do a feasibility study, weighting the pros and cons—and costs—of different alternatives to create these linkages across 23 roadway intersections through five council districts and nine segments along the Los Angeles River. Working with these many constituents would be a challenge, let alone figuring out the best route for the bike path. While these new connections may translate to about 12 miles of new bike paths that are suitable for pedestrians, they would also create a much longer 20-mile path in the Valley, estimates Mahmood Karimzadeh, the Principal architect with the Bureau of Engineering. Measure M — Metro’s sales tax ballot measure — includes funding to help build a complete L.A. River Bike Path. You can learn more about the ballot measure here. I’ll watch/listen later. I assume it involves getting a small percentage of cars off the road during peak times — which experts have long said is the key. I also assume few cities/regions are listening, given that traffic jams seem not to be an endangered species. Great TED talk. The idea of nudges and incentives is good. That is the concept behind of a number of programs. You were right these are good articles to read . Thanks for the selection. Shame I most enjoyed the crazed women with small creatures being released on the train.